The guild newsletter, forms and patterns are in pdf format. To view or print these you will need Adobe Acrobat Reader. This software is free. The amount of time required to download depends of many factors, including the type of computer and the speed of your internet connection. Click the icon below to download the free reader. 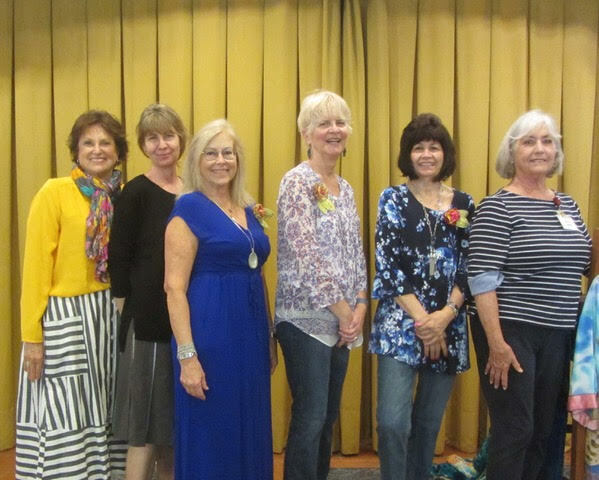 May 14, from 10 am to 12 pm, at the San Clemente Presbyterian Church, Surfside Quilters Guild will be having their general meeting. Guild members will be giving their now-past-president Becky McDaniel a beautiful quilt to show their appreciation for everything she's done during her tenure as the 2018/2019 guild president, after which the incoming guild president, Monica Shafer, will begin her duties. Surfside Guild Members Only: Retreat at Vina de Lestonnac Retreat Center in Temecula, June 17-June 20. All meals and lodging are included in the cost of the retreat. At the April 9, 2019 guild meeting we will accept applications for the retreat. A $100 deposit is required with your application. See the Membership, Map, and Forms page for the application. For the complete list of "Speakers and Workshops" click on the tab at the left.